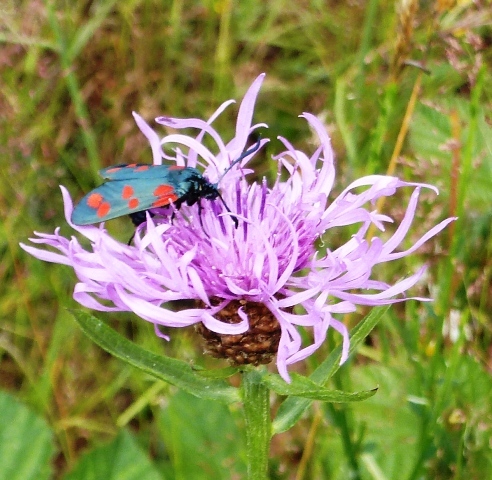 This six-spot burnet moth was photographed whilst we were out walking near our house in La Corrèze on Saturday. 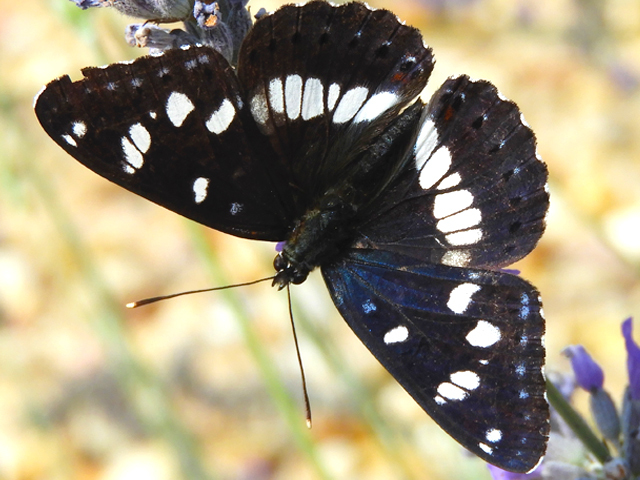 The moth is unmistakable, black with a bluish sheen and has 6 bright red spots on each wing. 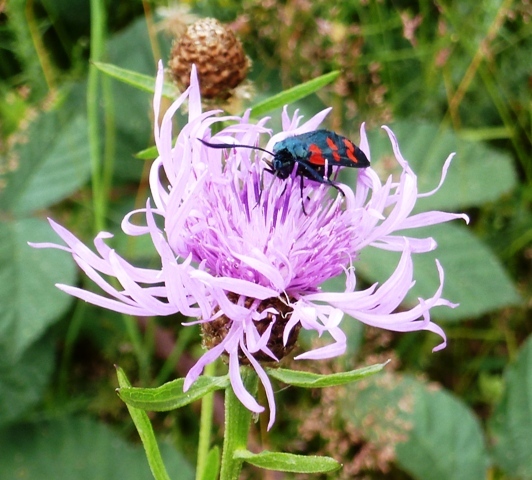 Although they look exotic they are very common throughout Europe, and like flowery meadows and other grasslands upto about 2000m. 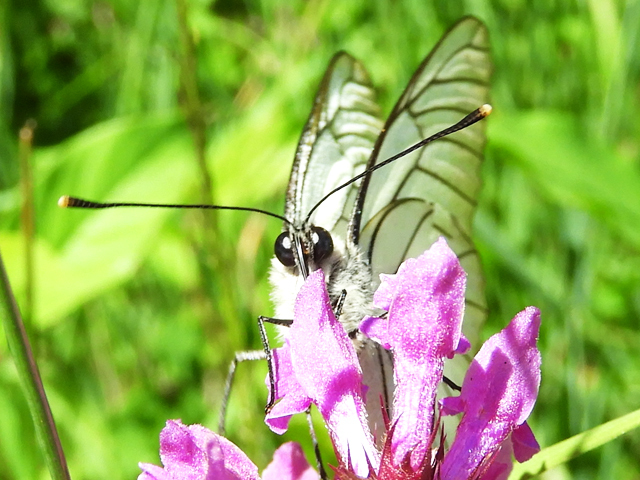 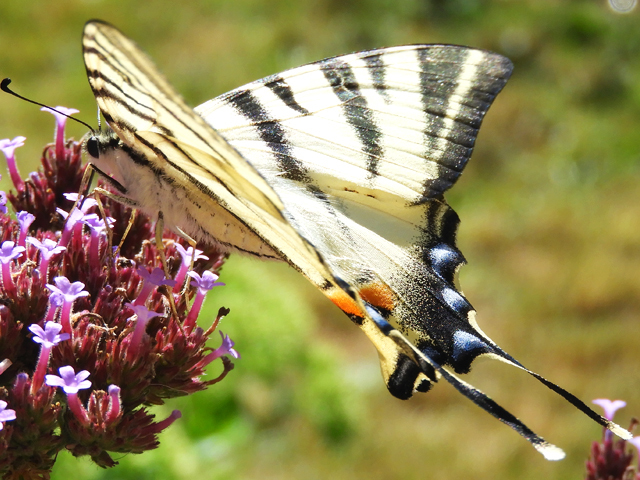 They fly in early summer and are wonderfully coloured, so keep your eyes open for them now.